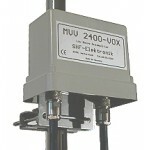 Model: MVV 2400 VOXDescription: Low-noise, largesignal-firm 13-cm- mast preamplifier. With..
Model: VV 2400Description 13cm-Preamplifier with small noise and high gain. 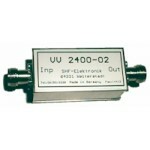 After the input the..
Model: VV 2400-02Description 13cm-Preamplifier with small noise and high gain. After the input ..